Fiercely traditonal and very tasty, Beef Brisket and Carrots is an old favourite and an old school “Frugal Food”. Simply braise or roast in a casserole for melt in your mouth rich beef flavours. I used the Aga casserole with beer & root veg. Easily feeds four (4) with meat leftover for tomorrow cold. Dish up and enjoy, should be more than enough for four hungry mouth’s and you can keep the leftover meat for a cold beef brisket sandwich or salad tomorrow… I remember Grandma serving cold brisket with a Yorkshire Salad aka sweet & sour salad, Lettuce, onion & tomato in vinegar, must try that again as well. 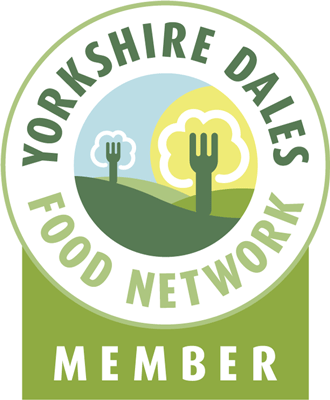 This entry was posted in Recipes, Yorkshire Dales Food and tagged aga, Beef, braise, brisket, carrot, cooked, Food, frugal, garlic, gravy, root, salad, slow, sour, sweet, veg, Yorkshire. Bookmark the permalink. Oh, this is delicious. I’ve just set the same dish going in a slow cooker for tonight…it’s 8.20 in the morning now….I cook this very low, very, very long, and the beef just falls apart. Normally, I don’t entertain joints that have been well done or even cooked all the way through, but this is a clear exception. Today, there’s a bottle of Guiness in play. Solid. Dependable. Rich. Classic. I also swear by Black Sheep, which apart from being a fine beer, produces a lovely gravy. To top off dinner tonight, I’m going to do some Yorkshire puddings, and I don’t mind admitting that I can’t wait. Yes of course Yorkshire Puds would be perfect with this and the beer gravy is gorgeous, I used a tin of Boddington’s that has been in the pantry far too long!! I recently discovered Brisket , it is just delicious and I will definitely be trying this recipe. Agree with the comment above Black sheep is fantastic , I even use it to flavour my spag bol . Just discovered your site and can’t wait to delve into some of these recipes!